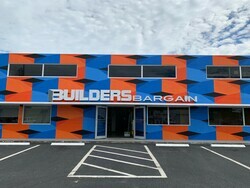 Builders Bargain is a discount warehouse open to the public. We are in our third generation of ownership dating back over 40 years. Low overhead, large quantity purchasing, and small-box structure allows us to give you quality products at low prices with personal service. We specialize in doors, door hardware and locks, and moulding. We also carry other various home improvement items from special buys. Our knowledge and experience enables us to solve your problem, while saving you time and money.